Last Saturday came dressed in a gorgeous August afternoon. The sun basked in a cloudless sky, temps reached into the comfortable 80s, humidity was merciful. And the evening forecast promised more of the same—all an enticing invitation to drive down to ol’ reliable, Long Beach, to snap some photos at sunset. 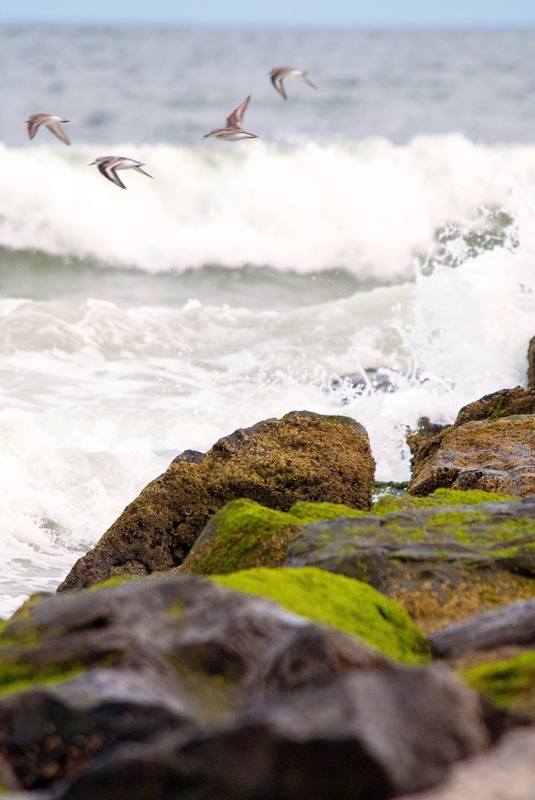 With cool white sand underfoot, boardwalk-goers crossing the Brazilian-hardwood walkway, waves barreling into mossy jetties, surfers waiting to catch swells, and seagulls feasting on shoreline seafood, the barrier island was again abuzz with subjects and replete with soft beauty that serve as a playground for a photographer.